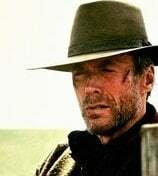 If you want to continue to discuss who the better gunslinger was or who was the most badass then create a thread for it, as has been said previously this is not the thread for it. Here's another unpopular opinion: I was really disappointed by the Wapiti. Whilst, from a narrative perspective, I understand Rockstar's reasons for showing them as a defeated, depressed people, I still think setting the game earlier would have given us the chance to see the Natives as a real power, with far more land, and far more ability to defend themselves. 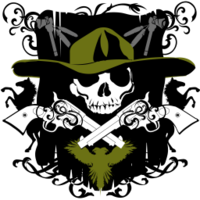 When reading about history, like the Black Hawk War, I was really hoping in RDR they'd be a force to be reckoned with, but that's sadly not the way things panned out. I also wish they were a bit more visually distinctive. So maybe Rockstar could have really tried to create their own culture, to give them a sense of individuality, but maybe they didn't want to offend anyone? And that's not me taking a shot at them, I'm just saying it's a raw subject and there's clearly a lot of open wounds for the various Native nations, so I can certainly understand them being cautious. I also wish they were a bit more visually distinctive. So maybe Rockstar could have really tried to create their own culture, to give them a sense of individuality, but maybe they didn't want to offend anyone? And that's not me taking a shot at them, I'm just saying it's a raw subject and there's clearly a lot of open wounds for the Native community, so I can certainly understand them being cautious. There is a random event in Valentine where two guys have a duel, and then the winner challenges you. It uses dead eye and everything. The police don’t come after you either. There needed to be something there, a trading post, a fence, some reason to be there outside of the story missions. Of course the same could be said of whole state of Ambarino. The only time I got emotional was when John took Abigail out for a date. I thought that was really well done. I think Kieran should've lived at least until Chapter 6, develop his character even more to the point where Arthur respects and likes him in some way by proving himself in even more jobs with Arthur. Colm should have killed him personally in front of Arthur after Arthur develops a friendship with him, both him and Kieran should have been caught and tortured with Colm killing him and Arthur is forced to leave his body, we could have still gotten the scene where he "rides back into camp"
This 100%. This would have been a much better way to kill off a character. It would have also made more sense for Colm to do it personally. How I would have done it is Keiran knows its a trap and tries to convince Arthur not to go but Micah shuts him down hard with possible violence and threats on his life. Arthur rides out but unbeknown to him Kieran follows them. The meeting goes as it does until Arthur is attacked and Kieran saves him again only for both of them to be overpowered. It then cuts multiple times to scenes of both of them being tortured with Colm eventually appearing who then forces you to watch as he takes Kierans eyes and eventually kills him. This would have also made the scene where Colm is hanged better because as it is I did not care. It was Dutch's revenge. They could have had a scene where Arthur wants to "rescue" Colm so he can kill him himself but realise that revenge is a fools game, the same message he tries to pass on later in the game. This definitely would have added more to Colm's reputation from our point of view. All we have to go on is what we hear about how much of a ruthless guy he is from Dutch and the others, but dont see alot of him apart from when he catches Arthur. Its hard to see Colm as such a bad guy I think, to me hes not much different from Dutch. They definitely should have made him have more of an impact being Dutchs main rival. As far as shock value goes Kierans death is up there with Sean. The scene of the horse with his headless body was totally unexpected. Yep, I personally think they are saving the Dutch vs Colm thing for RDR3 where you play as a younger Hosea. Seriously. They have an entire backstory set up for him now with him and Bessie, them leaving the Gang but coming back, Dutch and Hosea finding a young Arthur etc. A full games worth of story. We could see Dutch in his Robin Hood days, see Hosea try to keep Arthur as a decent man which would explain why Arthur is well spoken and polite. Great suggestions above about Kieran. The only thing I would say was that I really liked the way the mission Horseman, Apocalypse exploded out of nowhere. It really caught me off guard which I can’t remember R* doing - where you’re in your safehouse and instantly it kicks off. Normally you have to travel somewhere first. The dual wield feature is massively overrated and I've pretty much never used it. Thats more like a popular opinion, apart from the paid critics this game is being trashed in forums, youtube, twitter, etc. Most people love the game so no that's an unpopular opinion. Just because you dislike it, doesn't mean most people do. On topic: Sadie seems to be one of the most popular characters of the game but she is overrated as hell and lacked depth, not to mention her voice..really glad she doesn't have a big role until Chapter 5's last part, otherwise the story would have suffered. I actually think that works to the game’s strengths. The game is about the fall of the old western frontier, and Saint Denis pretty much embodies the opposing force that is civilisation. I think this is a very good way of showing the time of the outlaws rapidly passing by. Arthur and Dutch before their deaths both say that they’re time has passed, so I think your opinion might not be so unpopular after all. It is certainly justified, I’ll say that. It's interesting, I think Blackwater (as a new town) espouses the concepts of the civilizing West better than Saint Denis, as New Orleans (from which it draws inspiration) has existed for far longer than the American West as we know it. Saint Denis is a metaphor for the glories of civilization in full display- if Blackwater is a hint of what's immediately to come, Saint Denis is civilization in full bloom/decay(?). Of course, that metaphor never really needed a trip to the American South to be explained, so I'd say Saint Denis is there because Rockstar thought it would be cool. Now that the dust has settled. I think rockstar was aiming for a slow-burn main plot but the storyline just fell short, is generic. I didn't care about Angelo Bronte, Lady Braithwaite, The Greys, Cornwall or whatever rich person stereotype was on screen during all my playthrought. Eagle flies or whatever, nothing was remarkable really. Arthur/Micah carried the whole thing imo. I liked Reverend Swanson. I'm surprised a lot of people don't. All of Lemoyne makes me feel that way. This should happen along with crafted clothing. Have them decline in quality over time. This gives you incentive to take care of them. What about horseshoes that degrade like weapons? Say only a 20% loss in speed if you do nothing or a 20% boost in speed if you look at it differently. The biggest option which would sort of break the breeds it to let players purchase a different horse skin. Go from black painted to blonde dapple. Have it bond to that horse, unlike saddles and gear which can be transferred to any horse. With all of that you have some money drains to motivate playing for purpose rather than grinding XP in RDO. It doesn’t symbolise the stress, the reticule is shaking because your dead eye core is red.